Dr Harvinder Chahal : Consultant Physician specializing in the management of patients with complex obesity, diabetes and other endocrine disorders. 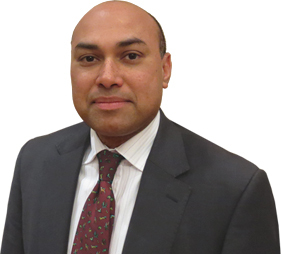 Dr Devinder Bansi : Consultant Gastroenterologist with expertise in the management of complications after bariatric surgery, endoscopic biliary stones and endoscopy for other complex oesophago-gastric conditions. Dr Samantha Scholtz : Consultant Psychiatrist who specialises in the assessment and counselling of patients undergoing bariatric surgery and in the management of psychological issues after bariatric surgery. Dr Helgi Johannsson : Consultant Anaesthetist with expertise in all types of anaesthetic techniques and who specialises in anaesthesia for bariatric surgery and for cancers of oesophagus and stomach. Ms Venetia Wynter-Blyth : Clinical Nurse Specialist with expertise in the management of patients with complex oesophageal and stomach problems. Mr Moorthy also specializes in surgery for gall bladder problems and all kinds of abdominal wall hernias.